He made a huge splash this summer by announcing that he had signed with the Boston Celtics, this year’s NBA Finals runners-up ;). Now, 15-time All-Star Shaquille O’Neal will meet the Beantown faithful for the first time at Saturday’s UFC Fan Expo at the John B. Hynes Convention Center in Massachusetts. The FORMER Los Angeles Laker will appear on the main stage at 12PM local time alongside Octagon commentator Mike Goldberg for a Q&A Session with fans. O’Neal, who won NBA championships with the LakeShow and Miami Heat, is a fan favorite thanks to his bright personality and dominant performances on the hardwood. 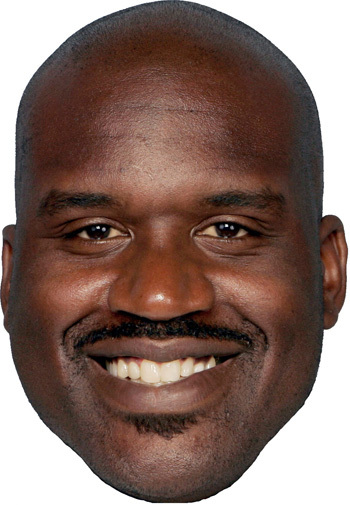 A longtime supporter of the UFC, Shaq now joins company president Dana White’s favorite b-ball team, a fact that brings a Kool-Aid-esaqe smile to the promoter’s face. UFC 118 will be jumping off later that evening inside TD Garden, Shaq Daddy’s new casa.